If you will live like no one else, later you can "live" like no one else. Build up your money muscles with America's favorite finance coach. Okay, folks, do you want to turn those fat and flabby expenses into a well-toned budget? Do you want to transform your sad and skinny little bank account into a bulked-up cash machine? Then get with the program, people. 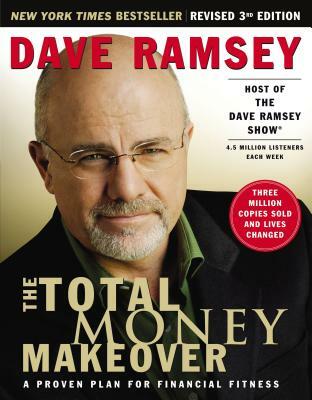 There's one sure way to whip your finances into shape, and that's with "The Total Money Makeover Revised 3rd Edition"
Where "Financial Peace" gave you the solid saving and investing principles, this book puts those principles into practice. You ll be exercising your financial strength every day and quickly freeing yourself of worry, stress, and debt and that's a beautiful feeling. "The Total Money Makeover Revised 3rd Edition" complete with additional material and new personal success stories is the one financial workout that guarantees "everything will work out.